The church, through are Lord Jesus Christ, will always be the solution to the world’s greatest problems. 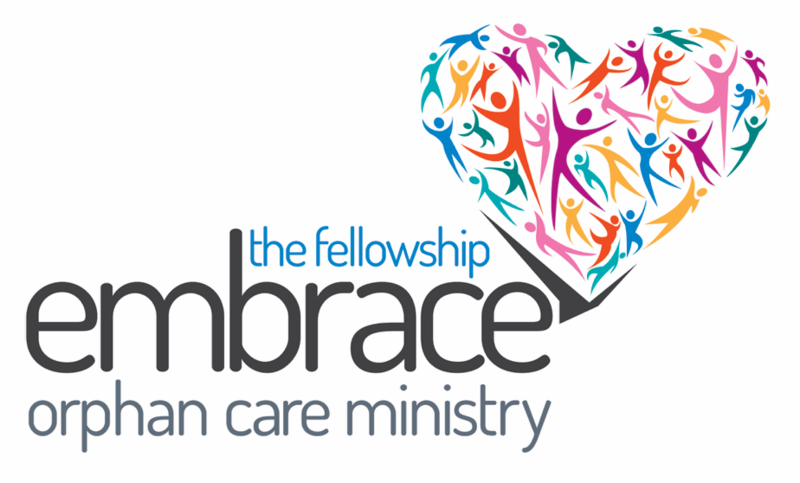 The Fellowship’s Embrace Orphan Care Ministry will educate, equip, and empower families to fulfill the Biblical mandate to care for orphans and foster children in the South Texas region. In building stronger families and communities, we create a better future for children. Currently, there is no fast and effective way for Child Welfare workers to connect with Church leaders about the needs of hurting children and families in the community. So, many children and families are left struggling when the Church could step in to help. CarePortal brings the needs of hurting children and families in our community to the attention of the local church: Child Welfare workers uncover the needs, and CarePortal provides us, the Church, an invitation to fill the need in a timely manner. When a Child Welfare worker identifies a need, they go to CarePortal online and submit a request for help. The Church is then informed of the need and given the opportunity to answer the call. Any church in Corpus Christi and the surrounding area is invited to be a part of CarePortal. Please contact Susie Baltazar, area CarePortal Coordinator, at 361-993-2223 ext. 104, or email her at susieb@cccfellowship.com for more information on how your church can become a part of helping children and families who are hurting in your community. At The Fellowship, we believe widow and orphan care is one of God’s mandates to the Church (James 1:27). We are called to meet the needs for the hurting and for those who may have need. We work to meet these needs through our Widow and Orphan Care ministry, which includes personalized care and needs of the home. Our widow portion of this ministry is designed to meet the needs of widows throughout our community in a personal and loving way, and we have established a Pastoral Care team to help meet this need. These ministers assess the needs of widows, in both a spiritual and practical manner, helping these women walk out their new lives, in a victorious and strong way. Your prayers for this ministry and the widows in our community are greatly appreciated. This is the first step in undergirding these women in their time of need. To learn more about how you can help with the Embrace Orphan Care ministry you may contact Susie Avila- Baltazar through the church office at 361-993-2223 ext. 104 or susieb@cccfellowship.com.